The American Election is over and the next president, Mr. Barack Obama, faces an extremely daunting set of problems. The most obvious is an economic crises that still threatens to spiral into an international depression. It is not yet clear that the disaster has been avoided, but quite obviously the problems that lie at the heart of the crises are still with us. The real problem is the structure of the world economy. The current world economy is unsustainable because it depends on American borrowing to purchase foreign manufactured goods. Since American businesses have decided that they can keep prices lower, by shipping manufacturing jobs abroad. But since we no longer manufacture things, we have nothing to trade for the goods we want. Since we Americans cannot pay for things we buy through trade, we have to borrow money to buy Japanese cars, and Chinese manufactured TV sets. But we have ultimately no way to repay the loans. Foreign lenders are hungry for investment opportunities in the United States, and hundreds of billions of dollars of foreign loans are pouring into the American economy. Americans are no ones fools, and if a bank is willing to offer me a mortgage to pay for a much larger home at a fire sale rate, we are going to take the money and run. Foreign investment has paid for American real estate inflation, but the bubble, in an unproductive economy, could not last forever. The Obama Administration must address the structural problems of the international trading system, but beyond that it must lay the groundwork for a new American Industrial revolution, one which again makes the United States a center of international industrial production, and a major source of industrial goods in the world trading system. Those structural changes in the world and the American economies will not come without a great deal of pain. In order for the United States to restore its industrial productivity, its energy problems must be solved. Our political leadership already knew in the 1970's that we faced an energy crises. M. King Hubbert had projected an eventual decline in both American and world oil production in 1949. In December 1957 when Edward Teller spoke to the American Chemical Society, he noted a that world use of carbon based fuels posed a serious problem for the future of society. Teller simply stated what scientist knew for all of the 20th century, that carbon dioxide was a greenhouse gas, and by adding it to the atmosphere we were creating a condition that would make our planet warmer. Today, both Hubbert's and Teller's predictions are coming to pass. World production of oil can only keep pace with world oil production in a depressed economy. The world transportation economies are based on technologies that are unsustainable. With ever declining oil production, oil fueled air, sea and land transportation systems will start grinding to a halt, unless substitute power systems are designed and put in place. World society has not even begun to do that yet, and we have already seen the first wave of the peek oil crisis. "The world's present industrial civilization is handicapped by the coexistence of two universal, overlapping, and incompatible intellectual systems: the accumulated knowledge of the last four centuries of the properties and interrelationships of matter and energy; and the associated monetary culture which has evloved from folkways of prehistoric origin. "The first of these two systems has been responsible for the spectacular rise, principally during the last two centuries, of the present industrial system and is essential for its continuance. The second, an inheritance from the prescientific past, operates by rules of its own having little in common with those of the matter-energy system. Nevertheless, the monetary system, by means of a loose coupling, exercises a general control over the matter-energy system upon which it is super[im]posed. "Despite their inherent incompatibilities, these two systems during the last two centuries have had one fundamental characteristic in common, namely, exponential growth, which has made a reasonably stable coexistence possible. But, for various reasons, it is impossible for the matter-energy system to sustain exponential growth for more than a few tens of doublings, and this phase is by now almost over. The monetary system has no such constraints, and, according to one of its most fundamental rules, it must continue to grow by compound interest. This disparity between a monetary system which continues to grow exponentially and a physical system which is unable to do so leads to an increase with time in the ratio of money to the output of the physical system. This manifests itself as price inflation. A monetary alternative corresponding to a zero physical growth rate would be a zero interest rate. The result in either case would be large-scale financial instability." What are the constraints and possibilities imposed by the matter-energy system? human society sustained at near optimum conditions? If not, can an accounting and control system of a non-monetary nature be devised that would be approptirate for the management of an advanced industrial system? "It appears that the stage is now set for a critical examination of this problem, and that out of such inquries, if a catastrophic solution can be avoided, there can hardly fail to emerge what the historian of science, Thomas S. Kuhn, has called a major scientific and intellectual revolution." 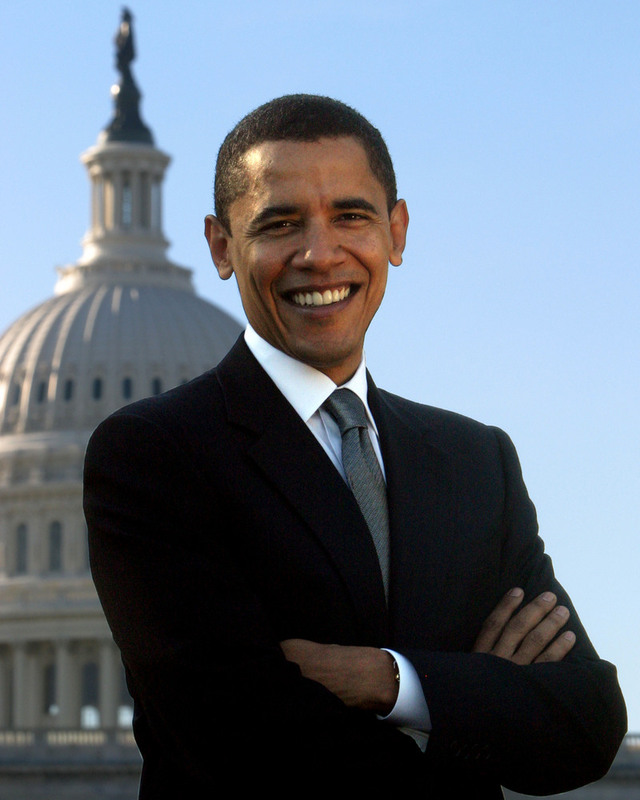 In is not in any ordinary age that Barack Obama will step into the office of the Presidency. By the way the name Barack means lightening in Hebrew. Lets how that he can electrify the world. Doing so will require every bit of his very considerable talent. He must lead the world as if we were at war, and he must do no less than lead us into a new energy age. This is a task that is fully comparable to national and global leadership during World War II Franklin D. Roosevelt played during World War II. Our energy war will not be against other people, but rather it will be against the human misery that we will see if we do not win the war. The energy war is Mr. Obama's to win or loose, and on that victory rests the fate of human society.